As we approached Budget 2017 in a couple of weeks’ time, property consultancy firm JLL has suggested that the Additional Buyer’s Stamp Duty (ABSD) to be reduced or removed for all residential property purchases in Singapore, and be replaced by a higher property tax charged on a annual basis for units which are not occupied by owners. Earlier in July 2016, MAS’s managing director Mr Ravi Menon has publicly announced that it will be too early to lift the cooling measures in Singapore, which are in place to ensure Singapore’s property market steers towards a more sustainable growth and ensure that households can withstand any shocks from various economic situations – be it locally or globally. It was said by Dr Chua Yang Liang, the head of Southeast Asia (SEA) Research at JLL that this approach would be able to bring some life back into private property market and prevent home prices from declining further. With the Total Debt Servicing Ratio in place, Dr Chua believes that the revision of ABSD won’t cause prices to spike. Instead, it will be aligning home prices with the income growth and drive property buyers to analyse their investment against holding costs for the long-term. On top of that, Dr Chua is also supportive of removing the ABSD for Singapore permanent residents and foreigners who are living and working in Singapore, and want to purchase a property in the sovereign state. However, such suggestions haven’t gained much favour from other market experts, as they reckon that the removal of ABSD would certainly increase the volatility momentarily as there a plenty of property buyers with hot money waiting to re-enter the market. In addition, signs are already showing that the Singapore property market is bottoming out with transaction volume on the uptrend. According to statistics from the URA last week, despite prices for private homes declining for 13 consecutive quarters since the 3rd quarter of year 2013, the total number of transactions (for private residential) surged by 16%, to 16,378 units in year 2016 – with the luxury property segment outperforming and recording the biggest surge of 48.7% year-on-year. 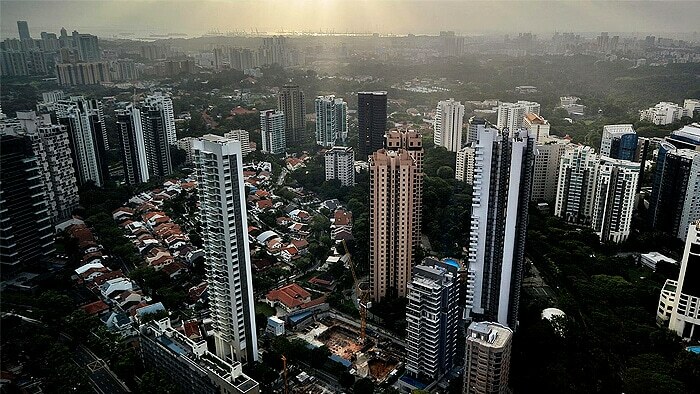 With the TDSR acting a crucial medium to prevent borrowers from over-leveraging for their property purchases, the ABSD has been widely speculated to be the first cooling measure among the rest to be tweaked if the government decides to relax on its property curbs. This measure has been fairly effective in restraining influx of hot money from overseas as foreign buyers are subjected to an additional 15% of stamp duty (on top of the 3% stamp duty) on all property purchases – regardless of the quantity. Based on the estimates from JLL, the prices for high-end residential properties have been corrected 18% on average, while prices in the mass market segment have softened for approximately 11%.